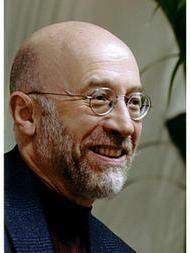 I’m becoming a bit of a Tony Judt junkie. After The Memory Chalet and Postwar, my eye was inevitably drawn towards Ill fares the Land: and though Postwar was a great book, this is the really timely one. It’s that rare thing, a concentrated outburst of intelligent anger – a true polemic. Judt doesn’t waste emotional energy in trashing his enemies, but rather challenges his friends to get off our collective backsides and do something. No doubt the fact that he was writing after his terminal diagnosis has something to do with it; without ever making the point crassly explicit, he’s saying ‘I won’t be around to do this – but it has to be done’. It does have to be done – from every direction the call seems to come for a new way of doing politics which creates a new set of possibilities, new disagreements. We’ve had our fling with neo-liberalism, but as yet we don’t know what else to do, how else to look to run our societies. Tony Judt reminds us that the last time people thought the globalisation of trade had carried us beyond nationalism, the First World War was only a few years away. We have real work to do if the latest re-configuration of world power is not to create war – real shooting war – and not just in nasty dusty places a long way away. When people feel threatened, they retreat to where they feel safe, and get violent when that security feels threatened. The way forward isn’t exactly the way back. The alternative to free market capitalism isn’t state socialism. Remember communitarianism? Tony Blair was pretty keen on it for a while: maybe it was his version of David Cameron’s Big Society – a genuine political idea. Communitarianism soon disappeared under the pressures of day to day politics, and possibly the attractions of the cash cow that the City of London was during the Blair years. Or maybe it was the cynicism that always looks for a base motive in any apparently high ideal – as particularly exhibited by the British press. As with so many things, the media can bring about their own prophecies of doom, gradually wearing down anything which tries to shift the terms of debate away from their preferred territory of deceit and scandal. We need to change, to find a way of bringing values back into political debate as areas for argument and aspiration. But how do you rebuild trust? Only a common basis of values which it is assumed that all the parties hold, even while disagreeing about much else. Now that would be a really interesting exercise – to get leaders together from all parties and walks of life to try to define genuinely commonly held values. I wonder how many there would be?